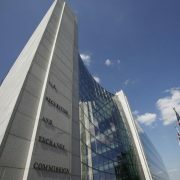 A divided federal appeals court has ruled that the U.S. Securities and Exchange Commission’s in-house administrative judges are not constitutionally appointed, raising the prospect that the U.S. Supreme Court may need to address the issue. The ruling by the 10th U.S. Circuit Court of Appeals in Denver in the case of Colorado businessman David Bandimere marked a major setback for the SEC amid attacks by defendants who question the fairness of its administrative court system. The holding on Tuesday marked a departure from the U.S. Court of Appeals for the District of Columbia Circuit, which in August upheld the SEC’s use of in-house judges. The Supreme Court often reviews matters where circuit courts are split. David Zisser, Bandimere’s lawyer, on Wednesday said he was “delighted” by the ruling. The SEC said it was reviewing the decision. Administrative law judges are independent from the agencies where they work. Their employing agency can seek their removal, but the Merit Systems Protection Board must review such a move. Following the 2010 Dodd-Frank law’s passage, the SEC relied increasingly on its own judges to oversee cases. Critics call the fast-tracked in-house court unfair to defendants, some of whom have challenged the system in court. In Bandimere’s case, the SEC accused him of acting as an unregistered broker from 2006 to 2010 in making sales of securities in two entities that enabled Ponzi schemes. He denied wrongdoing. Administrative Law Judge Cameron Elliot in 2013 found Bandimere liable for violating securities laws, barred him from associating with any broker, dealer or investment adviser and ordered him to pay nearly $1.03 million. But in Tuesday’s ruling, U.S. Circuit Judge Scott Matheson said Elliot and the SEC’s other four in-house judges held their offices in violation of the U.S. Constitution’s appointments clause. Writing for the 2-1 majority, Matheson said the SEC’s in-house judges were not employees but “inferior officers” who had not as required been appointed by the president, a court or a department head. The SEC’s commissioners, who heard the initial appeal of Elliot’s 2013 ruling, previously held the in-house judges were not inferior officers because they issued non-final decisions subject to commission review. In a dissent, U.S. Circuit Judge Monroe McKay expressed concern the “sweeping” holding had “effectively rendered invalid thousands of administrative actions” through its potential impact on in-house judges at agencies beyond the SEC. The case is Bandimere v. U.S. Securities and Exchange Commission, 10th U.S. Circuit Court of Appeals, No. 15-9586. The Financial Industry Regulatory Authority said on Monday it has fined Credit Suisse’s U.S.-based securities business $16.5 million for ineffective anti-money laundering programs. FINRA, the securities industry self-regulator, found that Credit Suisse Securities (USA) LLC relied on its brokers to identify and report suspicious trading, which did not always happen. FINRA also found the effectiveness of its automated system used to monitor suspicious transactions was impeded because many of the data feeds were missing information. FINRA was careful to say it did not find that Credit Suisse or any employees committed fraud or deceptive acts. A Credit Suisse spokesman said the bank was pleased with the settlement. “We cooperated with FINRA’s inquiry and have been taking appropriate internal remedial efforts,” a spokesman said. The bank neither admitted nor denied the charges. 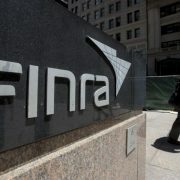 FINRA Requests Comments on Proposed Amendments Related to the Expungement of Customer Dispute Information.